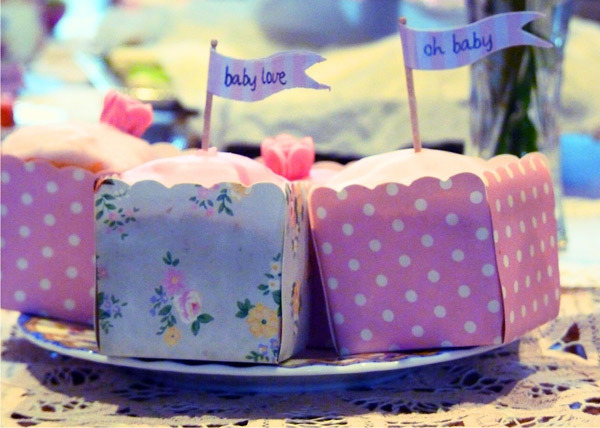 There are so many ways you can go when choosing a theme for a baby shower. 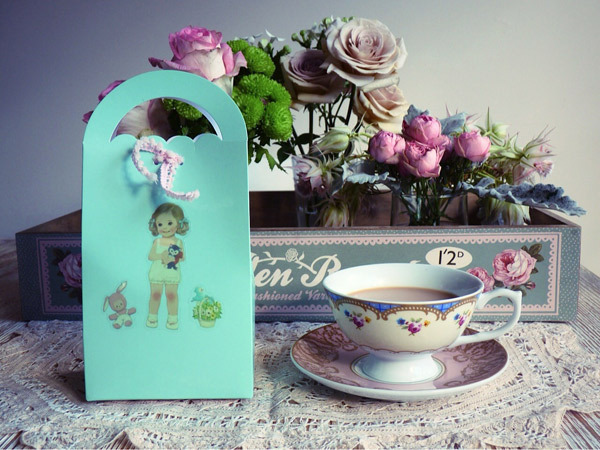 One of my absolute favourites is vintage pretty. 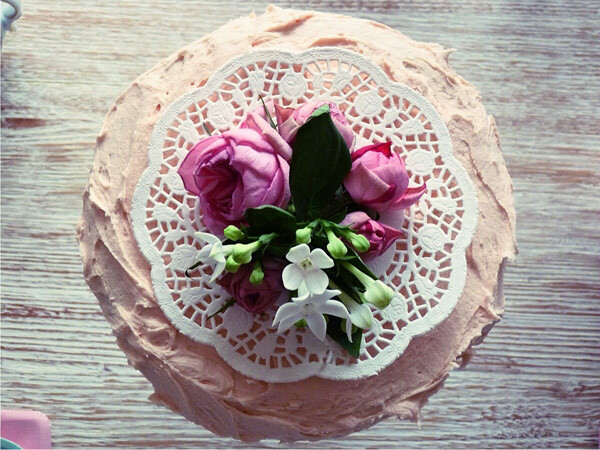 Fine china teacups, delicate lace and pretty blooms… what’s not to love? 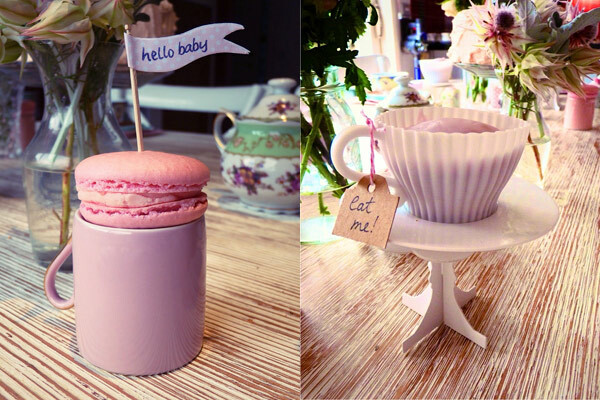 Those three things combined to perfection when good friends came together earlier this year to celebrate the pending arrival of Melbourne mum Genevieve’s baby with a vintage glam high tea. 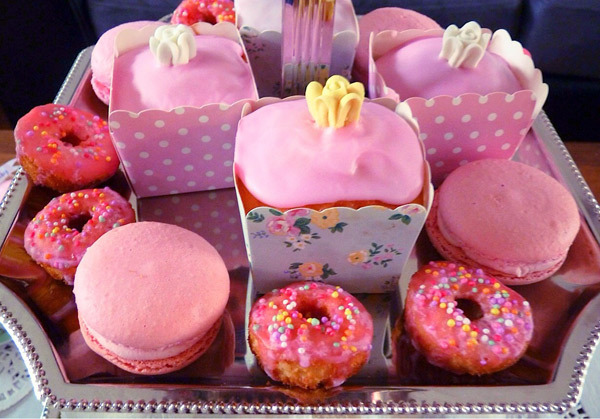 It was Genevieve’s third child, but her first girl, prompting an outburst of all things feminine and pretty, right down to the baking cups used to hold the petit fours. All the food was homemade, but gussied up with a bit of help from some sweet paper flags, some silver trays and a fancy cookie cutter or two, proving that you don’t need professional caterers or bakers to make a mouth-watering statement. It does help to have a friend with an eye for detail though, and Genevieve was lucky enough to have one of those. 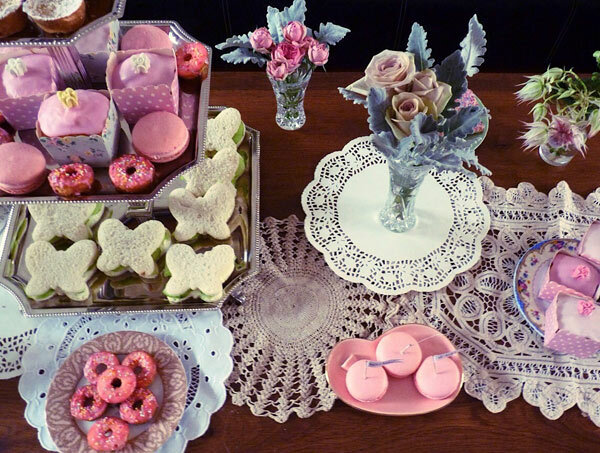 Her friend Jane hosted the intimate shower at her own apartment, decorating with simple jars and vases of the most exquisite fresh blossoms from Little Flower Box and a collection of beautiful vintage lace doilies thrifted from op shops around the place. 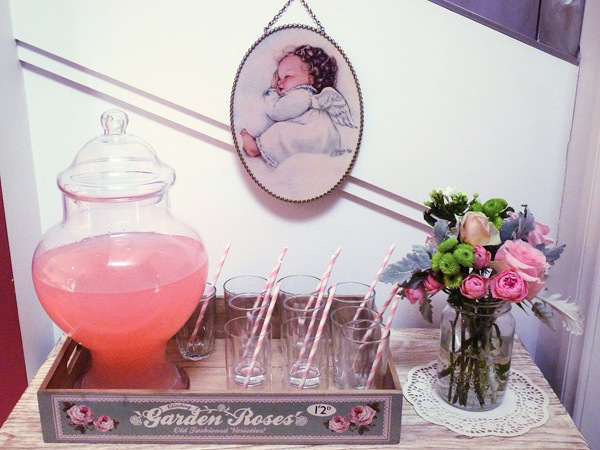 That little framed cherub so perfectly poised above the drinks station was a flea market find from Jane’s decade-long stint as a cellist in New York. The tray, for all its similar vintage good looks, is a newly-minted specimen from one of our favourite party shops, Invite Me. That simple-is-best mantra also worked its charm on the table, dressed with more retro-inspired Invite Me party finds, where the ladies sat to sup. 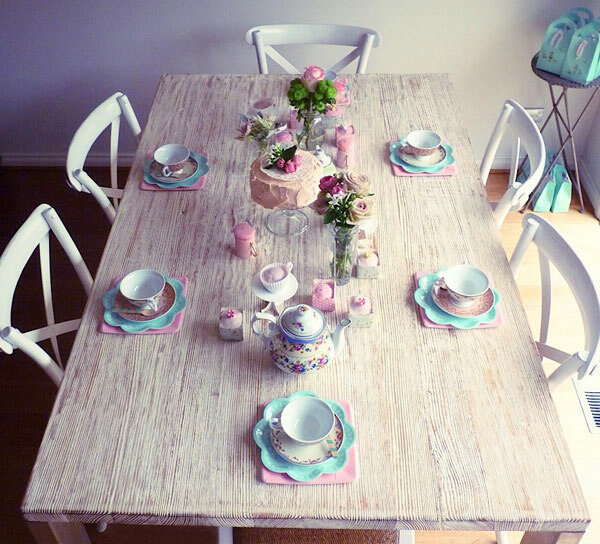 More blooms, a chintzy teapot and pretty lace-patterned paper plates paired with real china teacups showed, with great elegance and aplomb, how less really can be more. 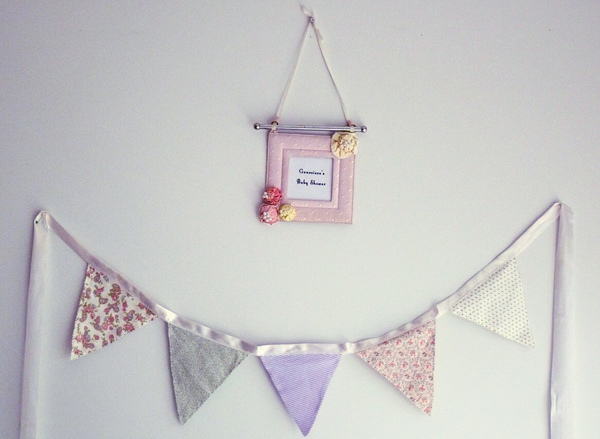 Add in a pretty handmade bunting and welcome sign, and there you have it, a recipe for a perfectly adorable and altogether charming baby shower.